feeling nostalgic about the 70s off-road biking thanks to actor Steve McQueen’s appearance on a Husqvarna Cross 400 on Sports Illustrated (August 23, 1971) that tickles the young you’s imagination? 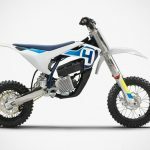 then the Husqvarna Concept BAJA might just bring back some fond memories but whether it will see the light of the production remains to be seen. combining the design cues of the good’ol seventies’ scrambler but injected with modern technologies such as a liquid-cooled single-cylinder engine mated to a five-speed gearbox via roller chain to the rear wheel, a chassis based on a steel tube frame, a torsionally stiff upside-down fork, a torsion-resistant dual swinging arm, a central spring strut hinged on a lever system, a Brembo hydraulic brake system and a slim shape saddle coupled with 19-inch front and 17-inch rear wire spoke wheels that oozes the flavors of the 70s. as you might guessed, the Concept Baja is at its, well, concept stage and thus, specifics remain pretty scant at this point. however, we did noticed some of designs that were incorporated into the model first showcased earlier this year were noticeably missing (yes. the LED array headlamp and the LED instrument display built into the crossbar are gone) which signifies that this awesome machine might be a really eventually. until then, why not treat yourself to some beautiful imageries in the gallery below? 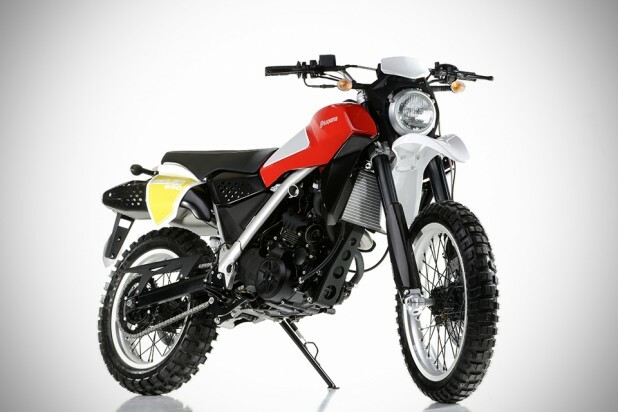 and lets see how much of the 70s memories this Husqvarna Concept BAJA brings back to you.